The people and animals we have helped become furever families! MJ adopted by the Hasting's Family! Nutmeg is now a loved addition to the Muggli Family! Teddy (now Rupert)found his furever with the Kelly family! Puppy, Suede, adopted by the Carroll family! Scooter and his furever mom, Rachel! 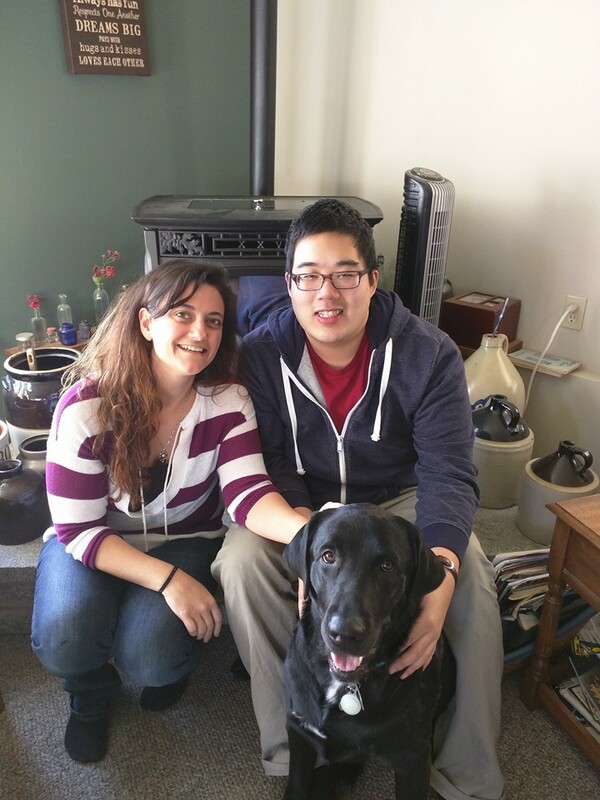 Titan found his furever home with Nermana and Matt! Collen and Matt decided Alexis is their furever girl! Lucky gets to be spoiled by Erica and Jason for the rest of her life! Whisk (now Jax) landed his furever home with the Fernandes family! Tide will be spoiled by Julie and Marty for the rest of his life! Cheer (now Dan) is now an Ames family member with big fur-sister, Raven, by his side! Dobie (now Elmo) never has to leave his MD foster home because Leslie decided she can't stand the thought of him leaving and has adopted him herself! The Warren family decided Amelia was the pup for them! 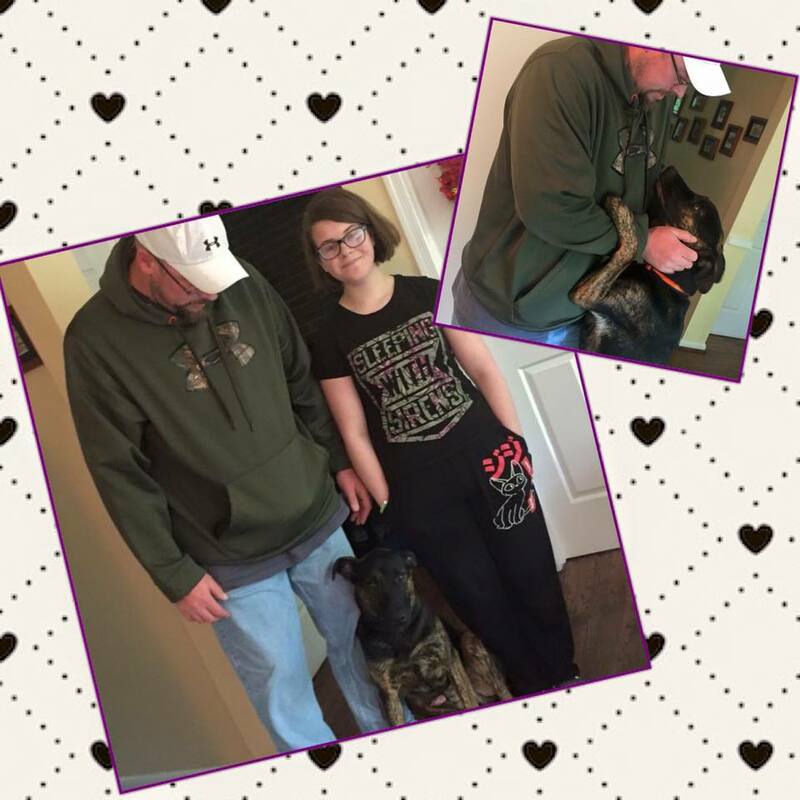 Ciara (now Kaylee) is super happy and loved in her furever home with Jenni and Sean! Anders (now Halo) hit the jackpot with his furever family. He's got his own kids to love and play with! Kristin decided Bandit should be her first new family member now that she is out on her own! Kelly & Charlie added Mighty to their family with fur sister Roxie to show him the ropes! Leah and Michael are already in love with Gus Gus! Blueberry (now Max) is the perfect fit for the Weaver family! Sadie is now part of the Alterwitz family! Snickers found her furever home all the way in New Hampshire with the Lewis family! Brody blue eyes gets to stay with Merrilyn and Andrew furever! Wyatt makes Adam and Madeleine's lives complete! Felix is now a proud member of the Bruner family! Fritz makes the Mulqueen family complete! Finn is just what Lizzie and Shane were looking for in their new dog! Gunther has two little boys for lots of love and fun in the Gater family! Hershey is adored by his furry brother and human parents! 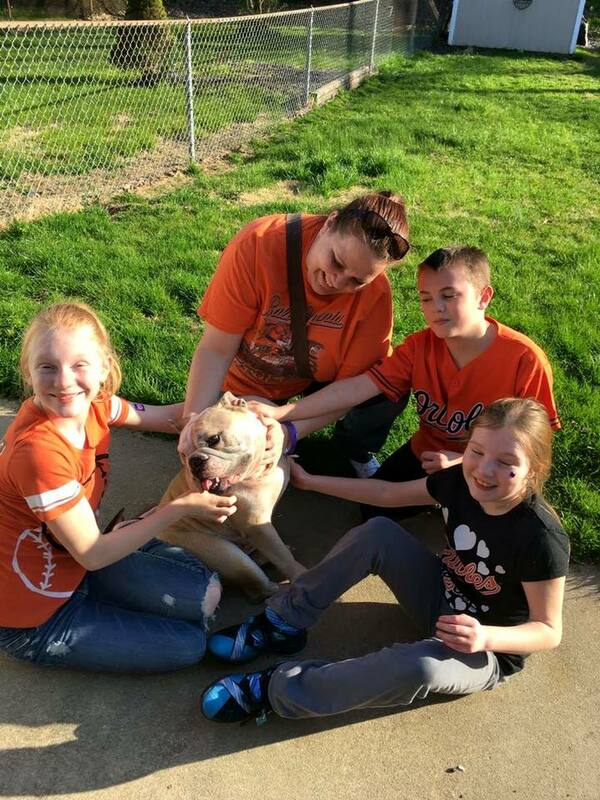 The Foster family decided Duke fit into their family too well to be adopted by anyone but them! Kaiser had the whole Acevedo family head over heels for him when they met him! Fiona found lots of love and laps to get snuggles on in the Oliver family! Spritz is on her way to being adored in the Brooks family! Merrilyn and Andy decided one Pugh Zoo Catahoula mix pup wasn't enough and adopted Wally (on the right) too!! Nia (right) and her handsome fur brother! Crystal (white) has joined Shera and Buddy for her furever family! Chirp is loved beyond measure in her new furever home! Mac (right) completed the beautiful Morris family! Candy will learn to trust and gain confidence in the Ezyske family! Dodger (left) is exactly what the Chieffo family was looking for in their new furry family member! Lois decided Cotton would go no further than her foster home and become a permanent member of the house. David can't wait to get hiking with Watson! Tabitha is the new furry member of the Merrill family! Encee now has a momma and little girl to call her own! Holly has made the Galinsky family complete again since the loss of their old dog a couple months ago. Ember got the best present ever for Christmas, a furever home!! Henry, the white Shepherd, scored his happy furever after with the Yarworth family! Sophie (on right) has a huge smile on her face now that she is a member of the Bebber family! Toby is done with ever living tied to a tree again as he has a long happy life ahead with Jen! Gretel is ready to be spoiled with her new mom, Michele! The Voxakis family has lots of love to give their new girl, Noel! Perry melted the hearts of Kim and Adam and found his furever home! John said it was love at first sight when he saw Kenobi! Bennie loves his new brother! Pepper can't wait for all the fun times ahead with her new mom and dad! Chloe will be surrounded with fun and love in the Horan family! Mason(left) will have a blast with his new brother Zion (right) in his furever family! The Hoffman family decided Crusoe would be the perfect addition to their loving family! Ginger(right) can't wait to play and wrestle with her new brother, Ranger! The Woodley family fell in love with sweet Maryann and were so excited to add her to the family! Cooper hopes to be a therapy dog with his new parents once he's all done with his heartworm treatment! Daisy and her furever mom, Jesscia! Milkway was adopted into the Brayton family! Nestle with his furever parents! Reese's will be adored in her furever family! Almond Joy is bound to be spoiled and loved in the Wilson family! Crusoe hit the lotto of fun with Hoffmann family! Bruno with his family and new fur sister, Lucy, on the right. Ruby in her new mom's arms! Shelby is now a proud member of the Kaplan family! After months of searching Stella found her furever family!! The Rutledge family was super excited to add Charlotte to their family! Asher with his sweet mom, Meredith! Molly adores Blue as you can tell! Alfred has two human and two fur siblings in his happily ever after! Twix and her sweet furever family! CJ was adopted by Danielle and her fur brother, Axel (on right). The Vittek family came back for seconds from Pugh Zoo (after adopting Tide in June of 2015) to take home Sandy! Sweet Juno is now a member of the awesome Reithlingshoefer family! Yay for Natty Boh was adopted into the Adams family! The Queen family just needed Dixie to complete it! Zoey (the smallest) has lots of family looking out for her! Lewis with his new mom, Tammy! It was love at first sight for Ashton's new parents! Willard is so happy to be with his furever family! Haley is one lucky girl to be adopted by Tina and her daughter! Lola has a huge smile after being adopted by Joyce and Sean! Dahlia was adopted by the Zavrotny family! 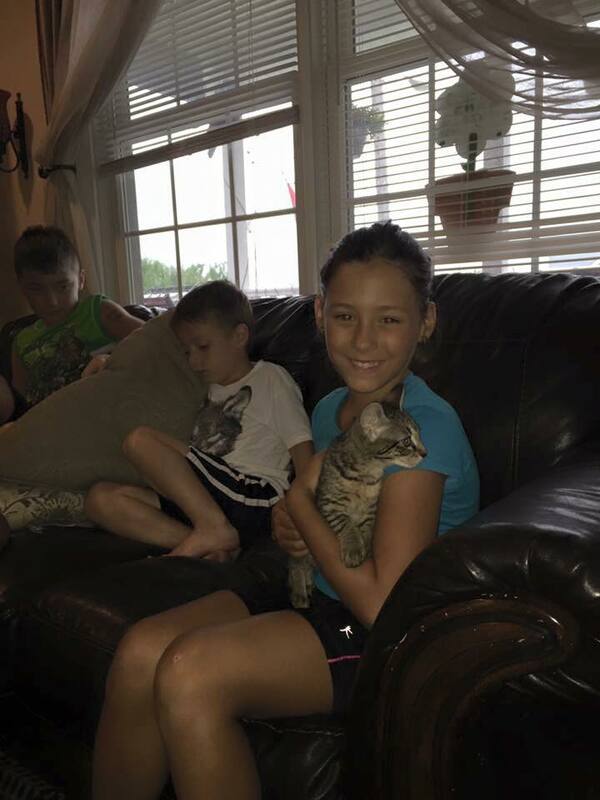 Tiger Lily was adopted by Jessica and Christopher with her furry siblings! Sisters, Athena (left) & Aphrodite (right), scored a furever home together with the Karen and Chris! Wahoo! Rider is now a Nordbrook family member! Bingo will surely get plenty of love and fun in the Elligson family! Willow (right) and her new brother! King and his new daddy! Kylo went home with his new family! Piper with her beautiful mom! Tyler settled right into his furever home! Neptune is now Erica's baby boy! Artemis and her new human siblings. Despite a rough time, Sophie, found her furever family! Denver is the newest member to the Brady family! Titan won the hearts of the Leavitt family! Tippy is now part of the Ferguson family! Tink is already in love with her human brother! Jack won the hearts of the Spitzler family! Scout will be so spoiled by his new mama! Jake will never have another bad day the rest of his life now that he is part of Jessi's family! Pat just adores her new boy, Clark! Blitzen was quickly scooped up by Gina and Scott! Taffy found a furever that includes a bunny sister! Abbott is already adored by the Bryant family! Betsy is now home with Courtney and her wonderful family! Star and her new daddy, Jed! The Sluss' added Kirby (left) to their family when he arrived to Maryland! Gidget (right) is bound to have fun in her furever home! Kylie's furever home is sure to be full of lots of love with the Stanleys! The Dyson family scooped up Khoda into their furever family! Chestnut and his new dad, Walter, (mom isn't pictured). Sweet Tonka was right in his new mom's lap! Luckie (on the left) is a PZR alumni and her parents decided to add brother Nick to the family!! Dasher headed home with his new mom, Danielle, and their friend, Micaela! Despite Angel's rough start to life she has found a wonderful family to give her the life she always deserved! Lucky is adored in his new home! Look at all the love and fun Aiden (far right) is going to have in his home with the Merritt family! 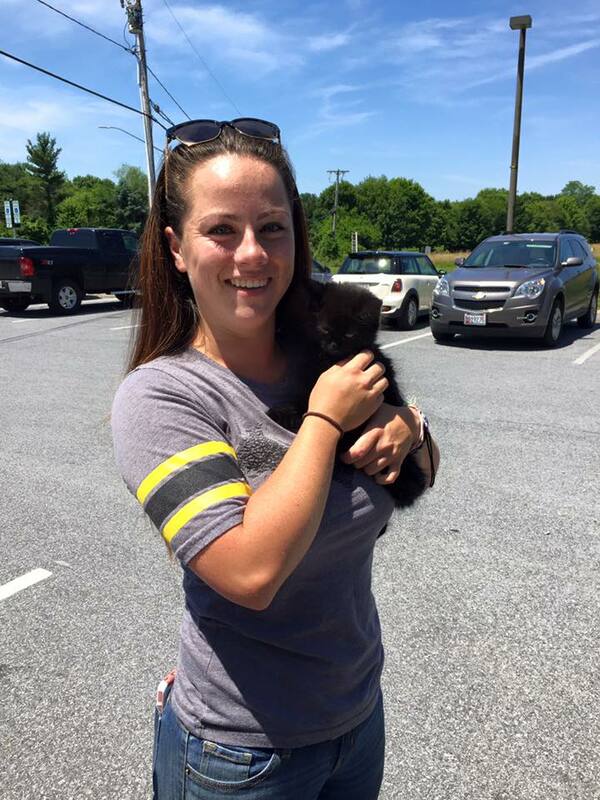 Cassie couldn't wait to get to Maryland and scoop up her furever family! Corrine and Atlas were meant to be together furever! Butternut is going to be one spoiled girl in her furever home! Jewel is thankful for second chances and loving life in her furever home with her sister, Tori! Sweet Mercy is adored by her new mom and dad and has two furry siblings at home too! Mike and McKenzie are already in love with their new boy, Arlo! It was love at first sight for Eva and her new dad, Steve! Ben (right) is the new member of a PZR alumni family! Jerry is going to make his new parents so happy! Gracie is just what her little girl wanted and needed! Tinsel and his new mom, Stacie, are ready for furever together! Graham and his new mom are in love! Cinder with her new mom and dad, Tara and Skip! Liam has come a long way and found his furever! Jada found a wonderful furever family!! Caleb made his family complete! Buddy is the second PZR dog in his family! Gregor was adopted and is so happy in his new home! Jet loves his new mom and dad and fur sister, Kenzie (not pictured)! The Frazenbaker family couldn't wait for Corbin to arrive from LA so they could take him home! Meadow has a sweet boy to call her own! Heidi is the cute member of the Cruickshank family! Gala (now Shadow) and her mom, Roxanne! Aubrey & Ainsley found their wonderful furever homes!! Molli the pocket Pit is headed home with Donna! Somethings are worth waiting for... like a family full of kids for Jubilee! Porter was adopted by the Gregory family! He hit the jackpot! Love all around for Ava from the Hemmerich family! Tarzan found his furever family with a furry sister! Fisher will have lots of fun in his new home with 3 kids to run with! Trace & Vicki couldn't love Brock anymore if they tried! Jane is going to be the princess in her furever home with her new mom and dad and fur brothers. Layla (right) found her furever home with the Winter family! Cleo had a family waiting for her arrival from NC! Clara and her dad, Trevor, will have lots of great adventures ahead! Zooey found her home with Looraine and Mark! Yay for Wiley on his furever! Hobbs made his match with Ian and Liz! Deacon went home to furever with Lori and her boys! Xander has a perfect new home with Alissa and Ben and big sister, Kailani! Bindi (L) and her great new family! Jackson went to his awesome new home where many adventures await! Marshall will be surrounded by nothing but love! Mattie is bound to have fun in his new home! Michelle got her furever home! Brink was our first 2018 adoption! Aladdin and his mom, Theresa! Amber is ready to see what fun her furever family has for her! Sasha's family couldn't wait for her to arrive from Louisiana! Gatsby is the newest member of the Klunk family! Dolly (L) found a home full of love! Moana found the perfect mom for her!! Teton and his new dad got to spend their 1st Valentine's Day together! Duke (R) with his mom and dad and PZR Alum brother, Casey! Look at all these babies with their awesome families! Aime found her furever home! Sweet little Tori (R) is the newest member of the Coleman family! Jasmine found herself the perfect home! Bailey enjoying some rubs from her dad! Petunia and Peony found their perfect homes! Daisy (now Esme) and her Daddy and sister; so sweet! Little Paige (R) found the perfect farm home! Cody (L) is adored by his mom! Amour is the newest member to his family! Hunter didn't get past his foster family before he was adopted! Hux found his perfect home! She's gonna be a spoiled girl! Zeus got lucky and joined to the Oh family! Peony is off to her wonderful new home! Brenna has found a home full of love! Miles is already adored in his home! Rocky (left) found his furry bff in his new home! Sweet Annabelle is all healed and HOME! Camden found the best home with the O'Donnell family! Streak and her new family! Delaney (left) with her sweet new family! Rollo is so loved already! Isn't Celeste adorable with her new little girl! Lots of love and adventures ahead for Darla (right) in her new home! The Collazo family scooped up their new family member! Bailey (now Hashbrown, left) with his new mom and fur brother! Ferrari with her new family! Sweet Chloe curled up in her furever home! Our tri-pod Dillion (left) with his new family! Noah and his new buddy, Jaguar! Phoenix (center) is bound for fun in his family! Lots of girls in this furever home headed home to dad! Lexus headed home with the Ritter family! It took Buddy some time but he found his perfect home! The Dill family came back to PZR to adopt again. This time for Xena on the right! Joyce found her second PZR dog with Jack (left)! Look at Duke with his new girls! Panda is headed home to the rest of the Mackesy family! Gavin (right) in his furever! Bailey and her sweet new family! Mr.Magoo (right) is the perfect new member of the Hubbard family! Lucy (left) is going to be one spoiled girl in the Wozniak family! Benny and his new dad, Harrison! Abilene already loves her dad! Piper found herself a sweet new family!! Tubbs and his new mom, Shawna! Madison an Logan decided Patrick was the boy for them! Sophie is the loved new member of the Viland family! Sally is the princess of this castle!